Get up to 60% off on Demo & Display Stock! Stocks are limited, so it’s best to act quickly. For more information please contact us at sales@sunshineco.co.za or call us directly on 021 461 0595. 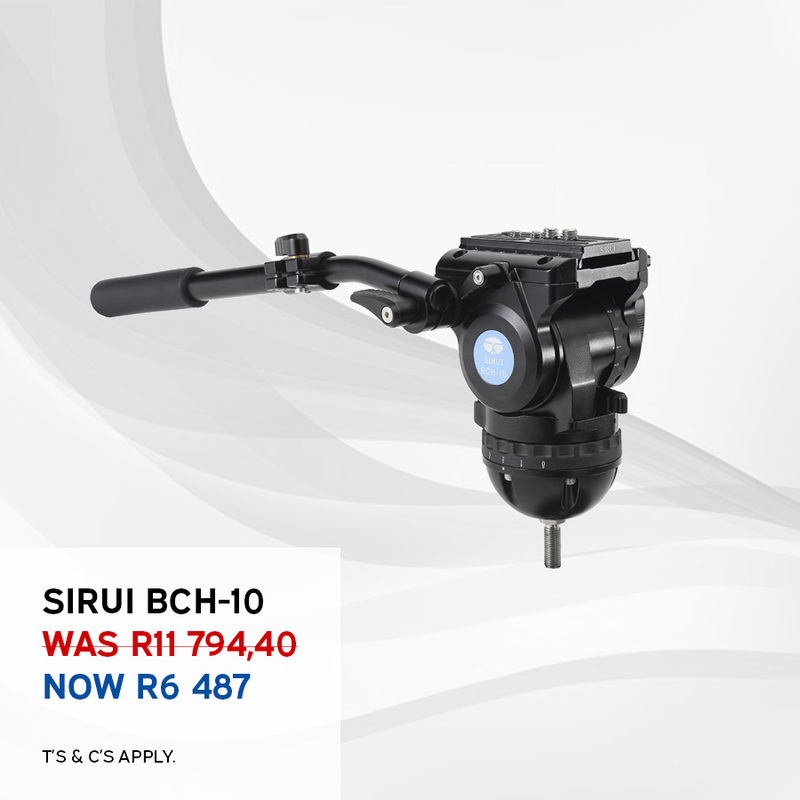 Get the SIRUI BCH-10 Broadcast Video Head for only R6 487.00 (WAS R11 794.40). Stocks are limited. T’s & C’s Apply. 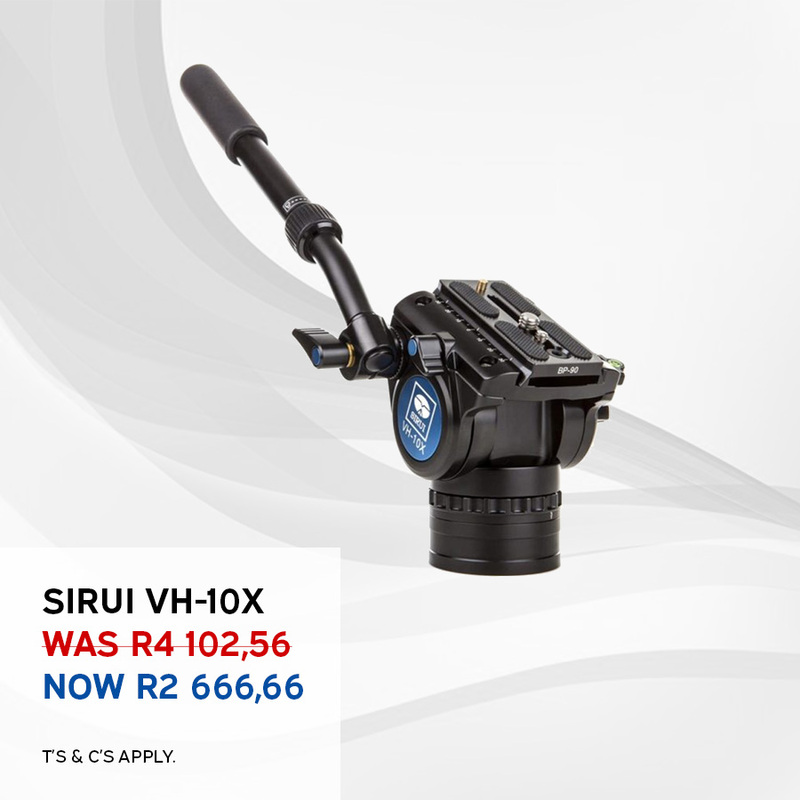 Get the SIRUI VH-10x Pro Fluid Video Head for only R2 666.66 (WAS R4 102.56). Stocks are limited. T’s & C’s Apply. 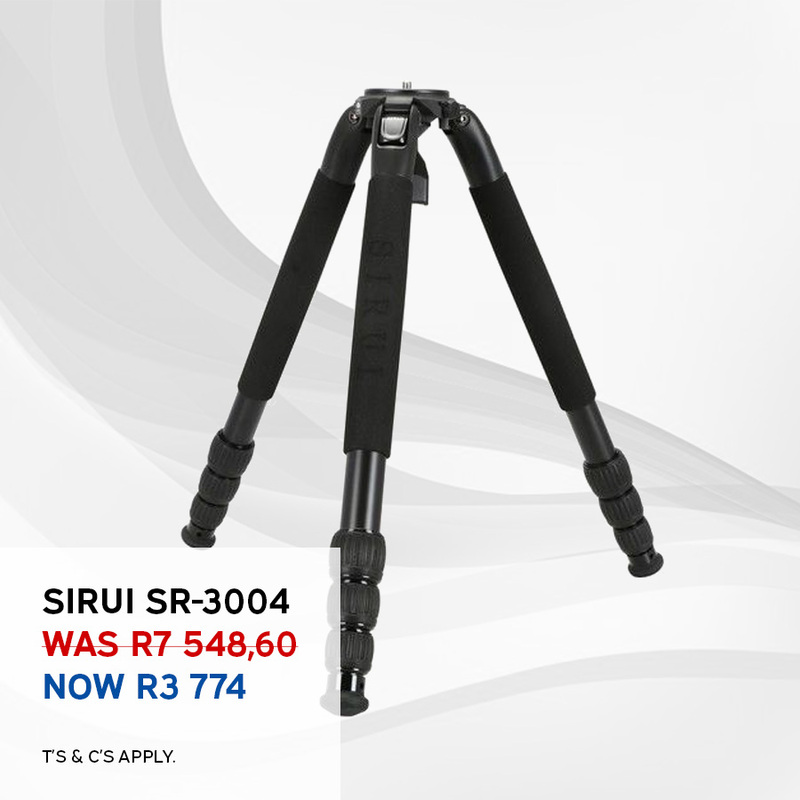 Get the SIRUI SR-3004 Tripod Kit for only R3 774 (WAS R7 548,60). Stocks are limited. T’s & C’s Apply. 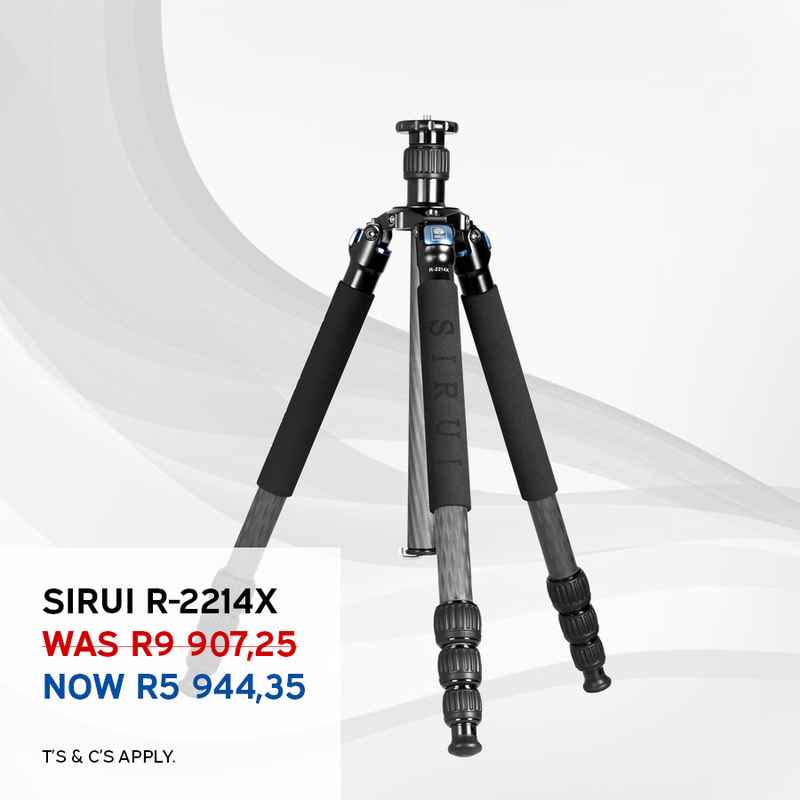 Get the SIRUI R-2214X Tripod for only R5 944,35 (WAS R9 907.25). Stocks are limited. T’s & C’s Apply. 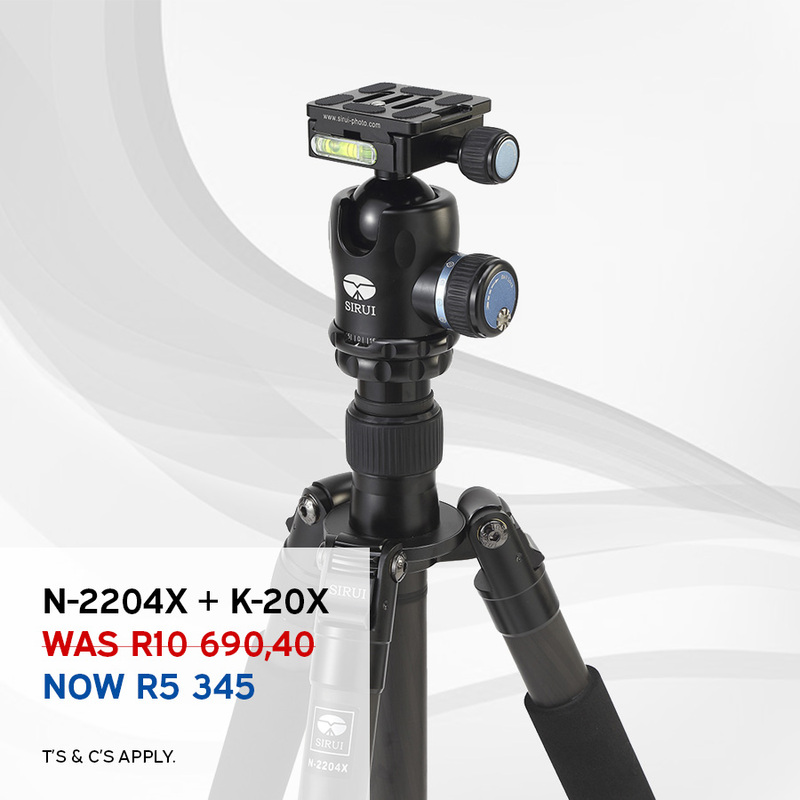 Get the SIRUI N-2204KX+K-20X Tripod Kit for only R5 345.00 (WAS R10 690.40). Stocks are limited. T’s & C’s Apply. 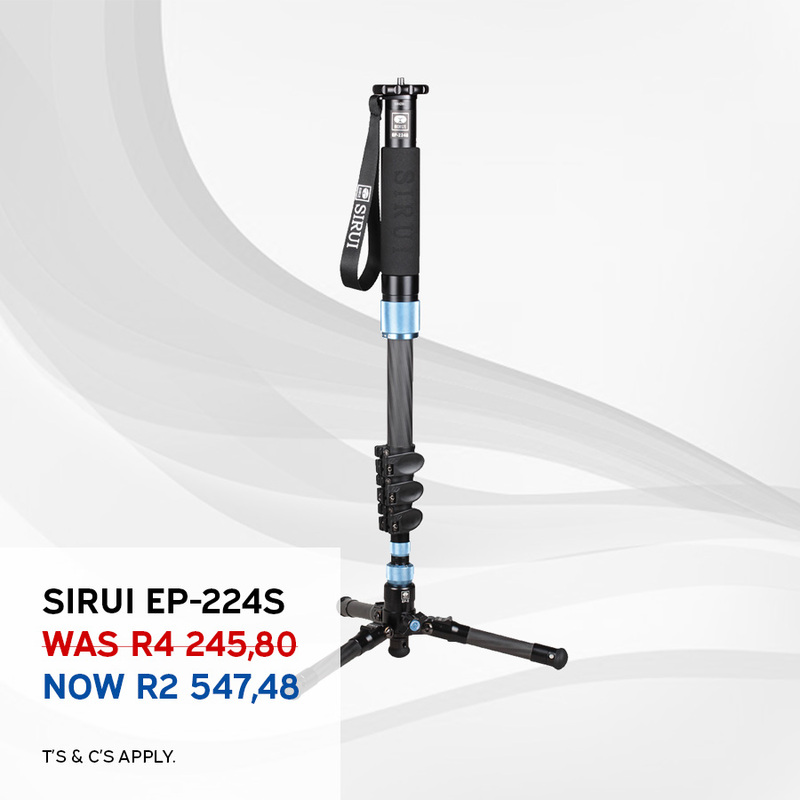 Get the SIRUI EP-224S Video Monopod for only R2 547.48 (WAS R4 245.80). Stocks are limited. T’s & C’s Apply. 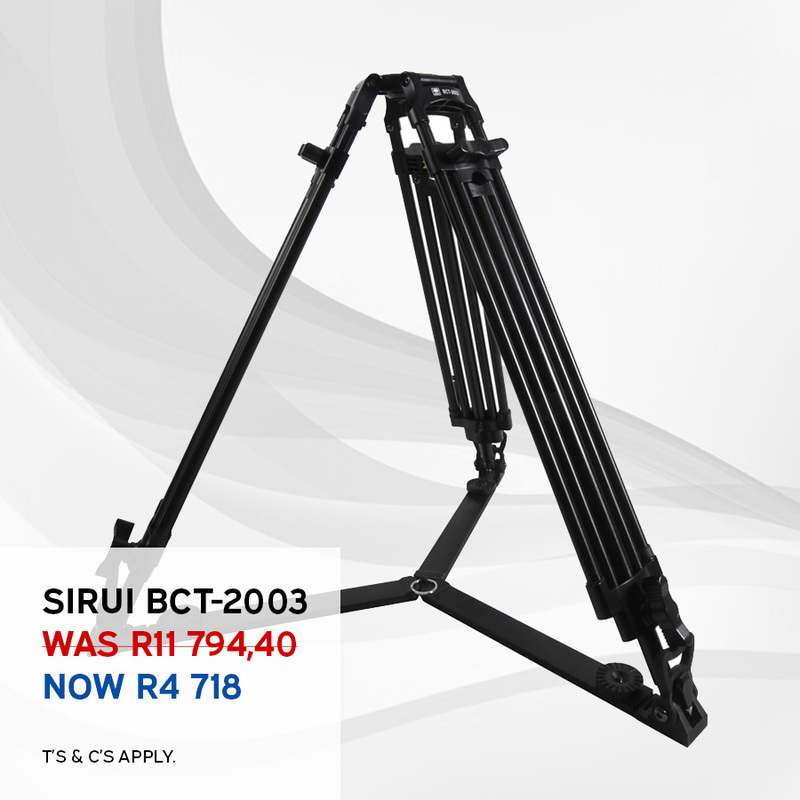 Get the SIRUI BCT-2003 Broadcast Video Tripod for only R4 718.00 (WAS R11 794.40). Stocks are limited. T’s & C’s Apply. 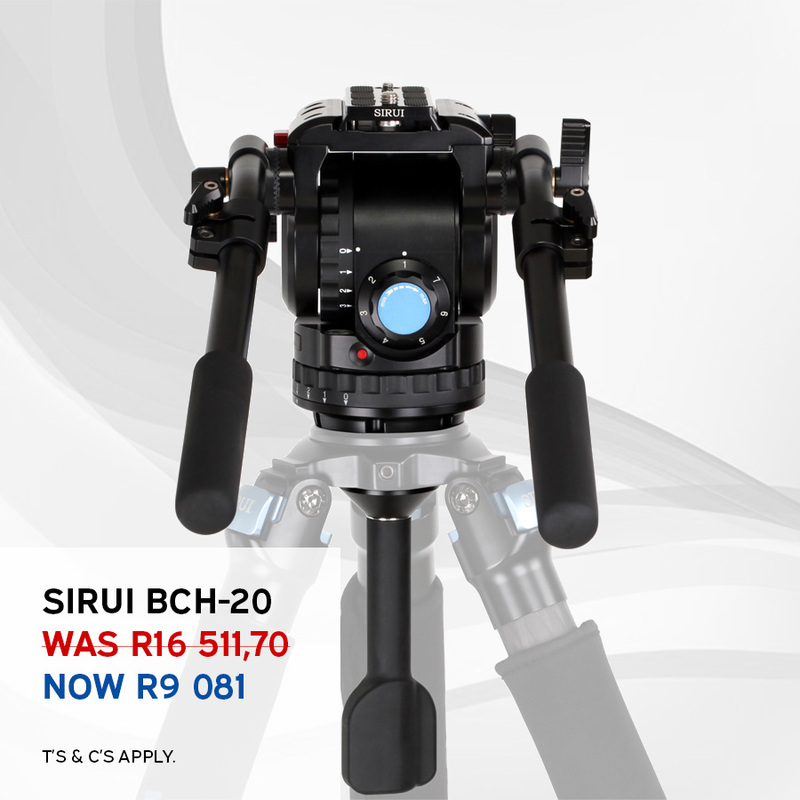 Get the SIRUI BCH-20 Broadcast Video Head for only R9 081 (WAS R16 511.70). Stocks are limited. T’s & C’s Apply.